In this post I list the stations with the lowest probabilities of busting a call in CQ WW SSB from 2005 to 2016, using the procedure developed in the second post above. 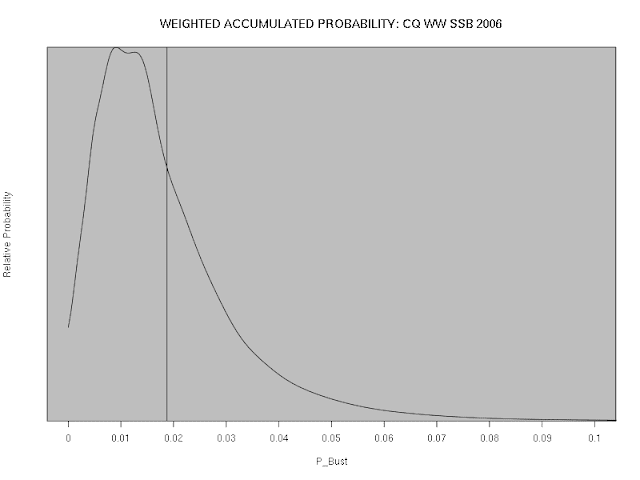 The location of the vertical line represents the weighted mean of the probability curve. NB: it is, of course, much easier to copy a callsign correctly if one calls stations rather than running them. Indeed, a reasonably careful station that restricts itself to calling others should never make a mistake in copying a callsign. In the above analysis, there is no attempt to distinguish which station is calling which. Therefore we will refine this analysis in a later post, restricting it to running stations. 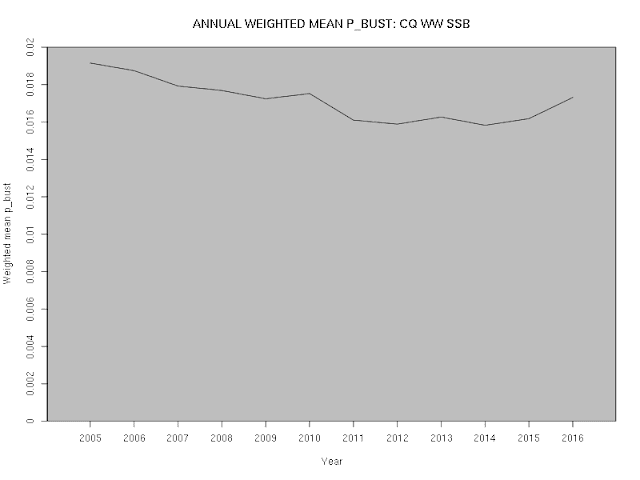 The long-term trend is for an improvement in accuracy (obviously a good thing), but the last few years seem to have stabilised around a mean weighted probability of a bust of about 1.7%.